No hagas ruido, niño, que lo molesta a su padre ‘Don’t make noise, child, because you’ll annoy your father’. As is typical in gustar-type sentences, the subject of sentence #1 (“noise”) is not an active participant. In contrast, the subject in sentence #2 (the child himself) is only too active! This entry was posted in Nouns and pronouns and tagged Jordi Sierra, leísmo, object pronouns, Spanish, Spanish pronouns, subject and object, verbs on 12 June, 2016 by jhochberg. I can remember the exact moment when Spanish utterly and permanently captivated me. I was fifteen years old and in my fourth year as a Spanish student. Our class had wrapped up the basic tenses and the present subjunctive, and was ready to launch into the imperfect subjunctive. Our teacher explained to us that this tense was based on the pretérito and incorporated all of its irregulars. This struck me as laugh-out-loud funny. We had already learned that the present subjunctive inherited all the idiosyncrasies of the normal present tense, including the ones that only show up in the yo form (the -zco and -go types). But the preterit is even thornier. It seemed bizarre beyond belief that the subjunctive should adopt the most problematic elements of both these tenses. As a student, it amused me to imagine that a twisted “Spanish committee” (perhaps a branch of the Spanish Inquisition?) had designed the subjunctive. (My little PowerPoint below depicts this scenario.) As a teacher, I now like to tell my students that the present subjunctive is God’s way of getting them to review the irregular verbs that they’d studied weeks, months, or even years ago. I figure that teaching at a Jesuit university authorizes me to invoke God in the classroom. In fact, the many irregulars of the subjunctive are neither a cosmic joke, an evil machination, nor an act of God. 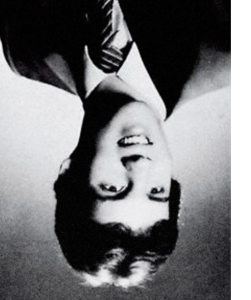 They’re simply a coincidence. 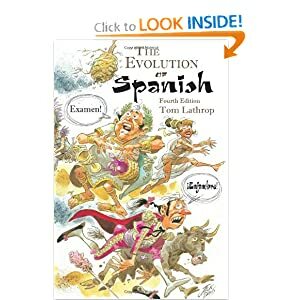 The present and imperfect subjunctive happened to follow the same evolutionary paths as several distinct categories of irregular verbs in the present and pretérito indicative. 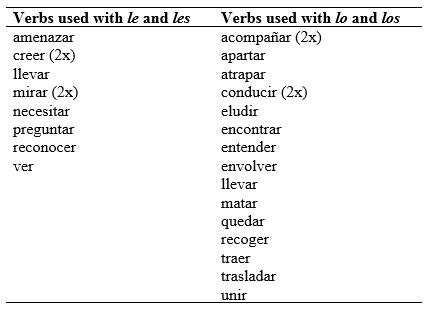 Consider the examples of irregular verbs shown in the table below, color-coded for your convenience. The “boot” verbs, in yellow, are irregular in the present tense because of a language-wide process that changed stressed /o/ to /ue/ and stressed /e/ to /ie/. The corresponding present subjunctives have the same vowels and the same stress pattern, and therefore the same irregularity. The -ir “sole” verbs, in blue, are irregular in the present and the pretérito because of another general process: the raising of /e/ to /i/ and /o/ to /u/ before /j/ (the sound of English y). All Latin -ire present subjunctive endings, and the “sole” (3rd person) endings of the imperfect subjunctive, contained (or still contain) /j/, triggering the vowel change. The -zco and -go irregulars of the present tense, in green, evolved because the –o ending of the yo form insulated it from changes that affected the other present tense forms and the infinitive. The subjunctive endings for these verbs begin with –a, which had the same insulating property. Finally, the drastic stem-changing pretéritos, in magenta, descend from Latin’s “strong perfect” past tense forms. 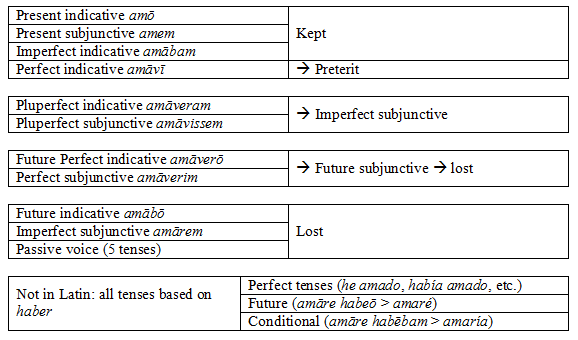 The imperfect subjunctive is based on Latin’s pluperfect tense, which had the same irregularities. This leaves “only” the six additional irregulars of the present tense subjunctive. Their diverse origins are summarized below. 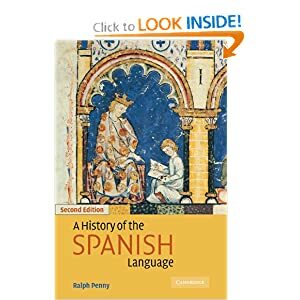 As always, if you want to learn more, the best source is Ralph Penny’s A History of the Spanish Language. But beware — nobody expects the Spanish Inquisition! 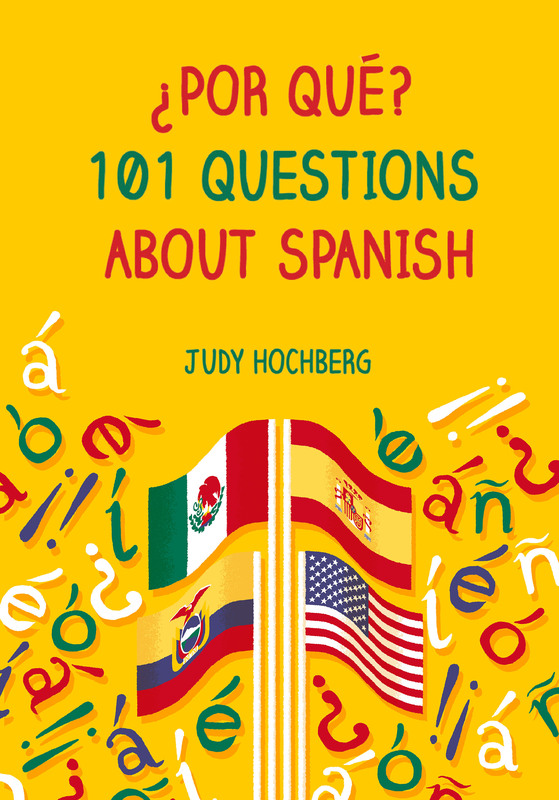 This entry was posted in From Latin to Spanish, Verbs and tagged boot verbs, imperfect subjunctive, irregular verbs, Latin, sound change, Spanish, stem-changing verbs, verbs on 15 July, 2013 by jhochberg. Este verano he escrito mucho sobre los verbos españoles: sobre el presente (aquí, aquí, aquí, aquí, y aquí), el subjuntivo, y el pretérito. Este énfasis ha sido en parte porque actualmente estoy investigando los verbos por un libro que estoy escribiendo sobre el español (todavía busco una editorial, si tienes una conexión…). Pero más fundamentalmente ha sido por la importancia que tienen los verbos dentro del español. A veces todos todos nos sentimos aplastados por los verbos. De todas formas, los verbos les importan a nuestros libros, a nuestras clases, a nuestros estudiantes, a nuestro idioma. Por eso deben importarles también a nuestras comunicaciones sobre el español, como este blog, y puedes anticipar más aportes de mi parte en el futuro. This summer I’ve written tons about Spanish verbs: the present (here, here, here, here, y here), the subjunctive, and the preterit. This emphasis has partly been because I’ve been researching verbs for a book I’m writing about Spanish (I’m still looking for a publisher, if you have a connection…). But more fundamentally, it’s been because of the importance of verbs within Spanish. At any rate, verbs matter to our books, our classes, our students, our language. Therefore, they should matter also in our communications about Spanish, like this blog, and you can expect to see more here in the future. This entry was posted in Spanish Friday, Verbs and tagged irregular verbs, Spanish, Spanish Friday, verbs on 12 July, 2013 by jhochberg. The first two types of vowel change, from e →ie and from o →ue, are found in all three Spanish conjugation classes: -ar, -er, and -ir verbs. The third type, with a vowel change from e →i, is only found in –ir verbs. I also described how a fourth change for -ir verbs, from o →u , was sidetracked, with the relevant verbs switching over entirely to u (e.g. mullir, from Latin mollire). At the time I overlooked a simple yet dramatic truth: the “boot” pattern has taken over all possible -ir verbs! This amounts to a significant difference between -ir verbs and -ar/-er verbs. When you learn a new -ar or -er verb that might be a boot verb (say, the hypothetical verbs felar and foler), you need to check a dictionary to see how the verb works. Is it regular, in which case the present tense forms are (yo) felo and (yo) folo, or boot (fielo, fuelo)? For a hypothetical -ir verb like felir, this question is moot: it’s a boot verb for sure. The only remaining issue is which type it is, i.e. fielo or filo. To verify this generalization, have a look at the comprehensive list of -ir verbs at intro2spanish.com (a website with which I am not affiliated; I just admire their verb lists). With a single bizarre exception (abolir, see below), every verb on the list whose final stem vowel is e or o is a “boot” verb. FYI abolir (click for conjugation) belongs to yet another weird category: it’s a so-called “defective verb”, which means that its only allowed forms are those whose verb ending begins with i. For the present tense, this means that the verb only exists in the nosotros and vosotros forms, which are both outside the “boot”. This generalization about -ir boot verbs is hardly earth-shaking. In fact, if you’re not a Spanish grammar lover, you’re probably asleep by now (but then how can you still be reading???). To me, though, it is somehow aesthetically pleasing. These -ir boot verbs are weird in general — consider their gerunds (dUrmiendo, sugIriendo) and preterits (dUrmió, sugIrió). Shouldn’t their present tense be special, too? 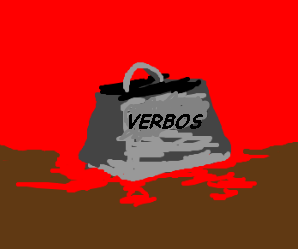 This entry was posted in Verbs and tagged boot verbs, irregular verbs, Spanish, verbs on 1 July, 2013 by jhochberg.